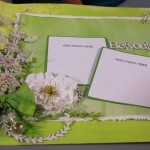 This week on Show Me How, Gloria Bastos is joined by Mara Schillaci of Hillcrest Art Supplies. 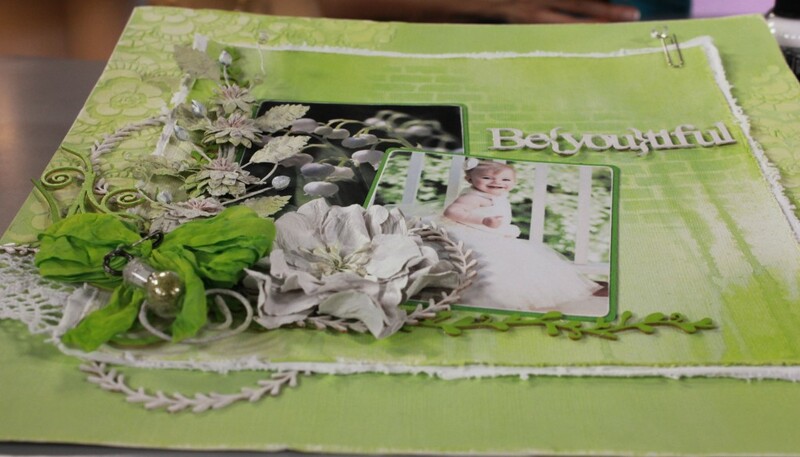 She shows us how to play with a variety of craft materials using stencils and texture paste, paper, stamps, ink and a variety of embellishments to create texturised scrapbooking gifts. 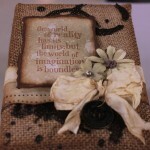 She will teach us various techniques such as layering, inking, embellishing, stamping, creating creative colour effects and so much more. 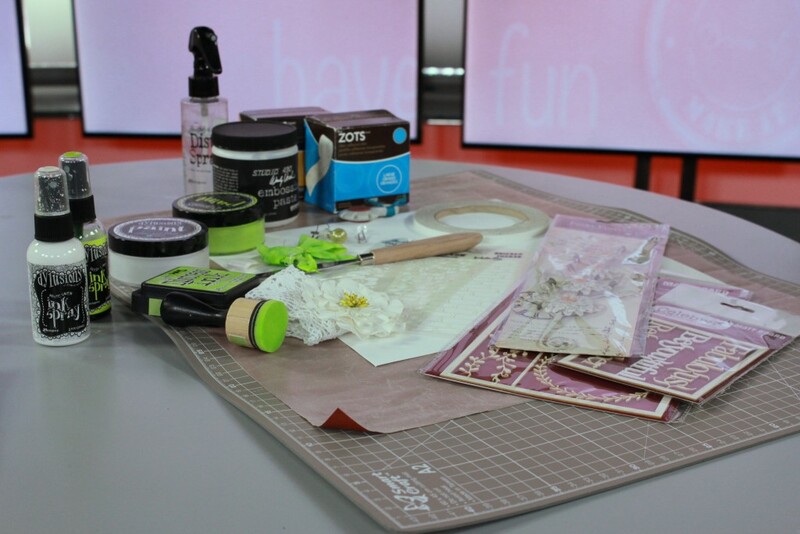 Take out about a heaped tablespoon of your Translucent Embossing paste and put it onto your non-stick craft sheet. 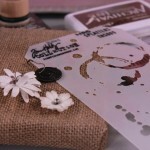 Add about three drops of Tim Holtz Distress Re-Inker: Ground Espresso into your embossing paste and mix together using palette knife. 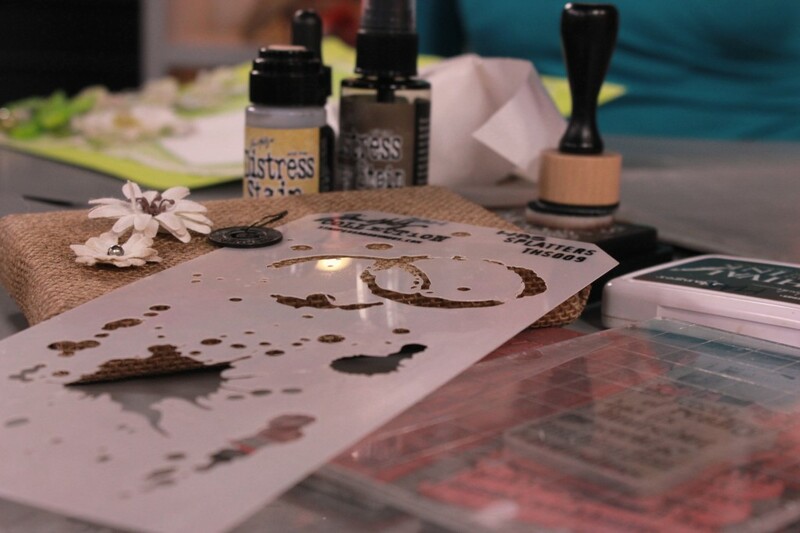 Place your Tim Holtz Splatter Stencil over your mini Burlap Panel and using a palette knife, spread the paste over the stencil. Carefully remove the stencil and dry the paste using a heat tool. 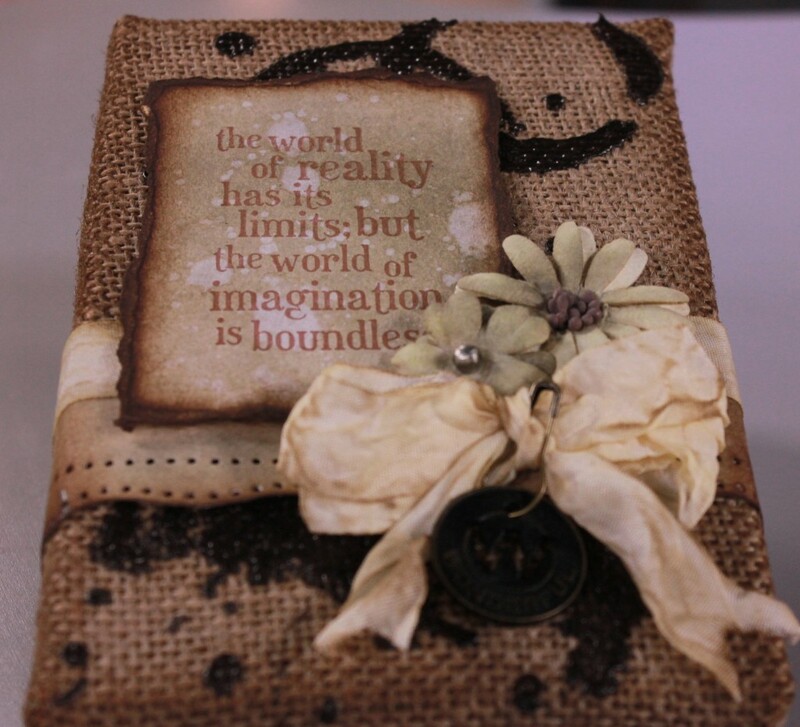 Using your Tim Holtz Distress Stain Paper Spray: Frayed Burlap, spray over the stamped word and also spray the punched paper strip. Dry using a heat tool. Once the ink is dry, spray with a little water (or flick water if you prefer) and then dab off the water with a clean paper towel. Dry using a heat tool. 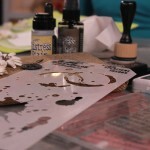 Next, tear around the stamped image and ink the edges of the torn paper using a blending tool and Tim Holtz Distress Ink Pad: Ground Espresso. Cut the punched paper strip to measure about 1.5” in height and then ink the edges of the strip with ground Espresso as before. 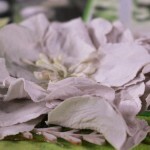 Spray your blossoms using your Tim Holtz Distress Spray Stain: Frayed Burlap and dry using a heat tool. 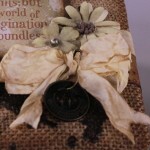 Colour your Crinkle Ribbon using Tim Holtz Distress Stain: Antique Linen and scrunch in your hand while wet to crease the ribbon. Dry using a heat tool in its creased state. 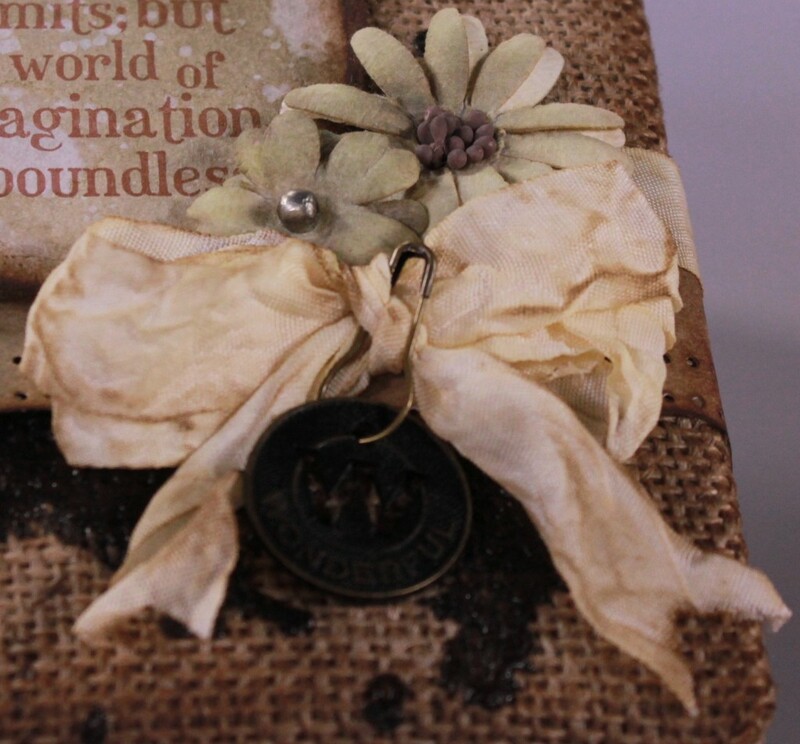 Once dry, create a bow and attach a muse token to the bow using a Tim Holtz loop pin. Adhere the punched paper strip around your panel horizontally, about 1.25” from the bottom of the panel – I wrapped the piece around my panel and adhered it at the back using a strong adhesive and a staple for extra strength. Then adhere your strip of crinkle ribbon along the top of the punched strip. Using foam strips, adhere your stamped phrase to the top left hand side of the horizontal strips, about 1” from the top of the panel and about ¼” from the left hand side. Finally adhere your blooms and bow to the bottom right hand corner of the stamped phrase and your panel is now complete. 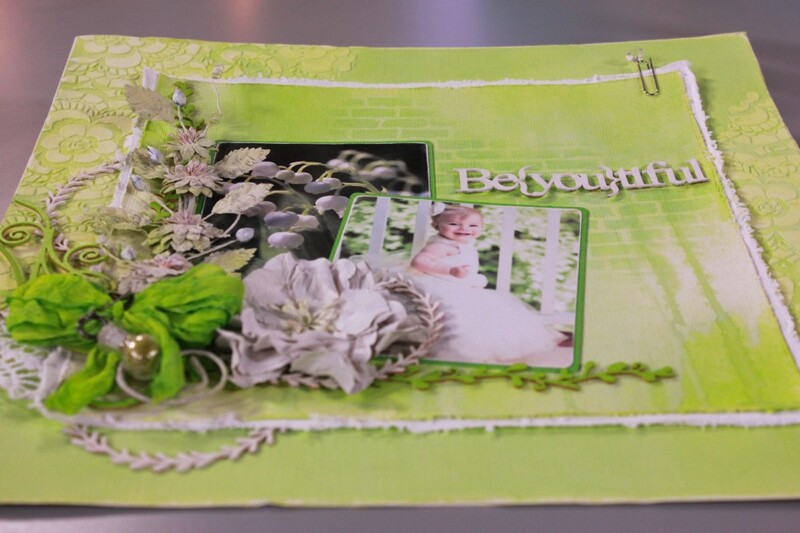 Mat your photographs onto green cardstock. 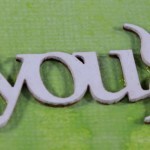 Using a palette knife spread your Wendy Vecchi White Embossing paste randomly over your Tim Holtz Lace Stencil (THS034) Do this along various edges of the page. Allow to air dry, or dry using a heat tool but be careful not to overheat the paste or it may bubble. Once the paste is completely dry, use a wet wipe to paint your entire background page using your Dylusions Paint: Fresh Lime. This paint dries very quickly. 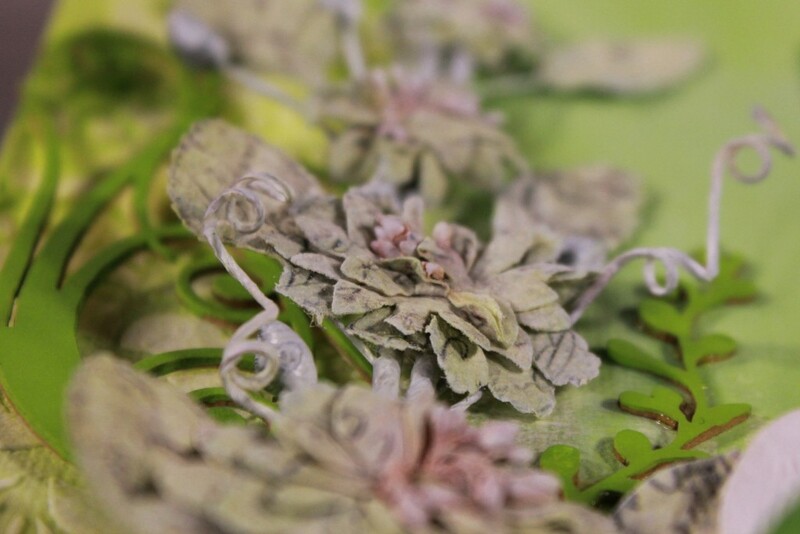 Once you have painted the entire page, use a clean wet wipe to wipe off some of the green paint from the embossed lace areas. 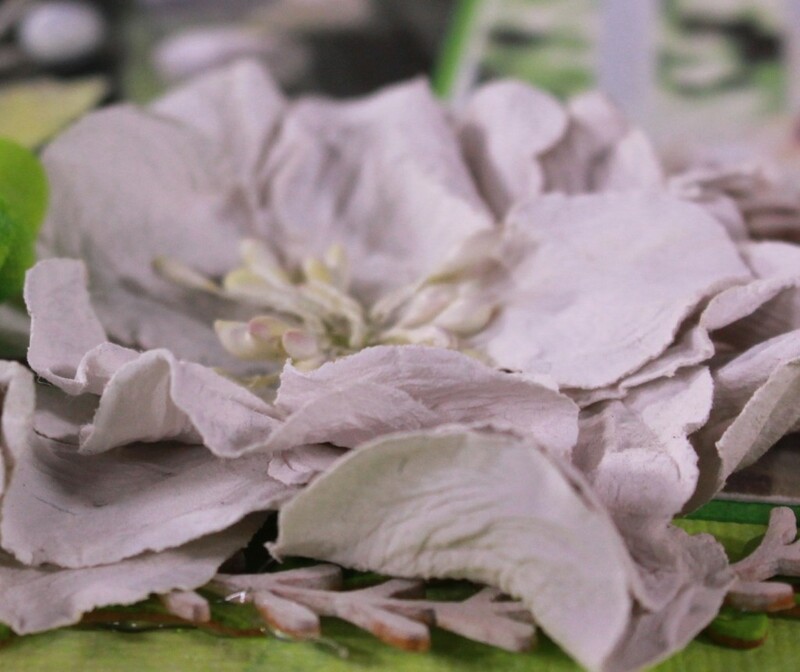 Once your paint is completely dry, apply a coat of White Linen paint over the top also using a wet wipe. Again, use a clean wet wipe to remove some of the paint from the embossed areas. Cut a square from your white cardstock measuring about 9” x 9”. Spray the square using your Dylusions Ink Spray: White Linen, and then spray some of your Dylusions Ink Spray: Fresh Lime along the top of the square and hold the cardstock upright so that the ink drips downwards and dry using a heat tool. You want to create ink drip marks. You can repeat this process if you feel you did not achieve enough of an effect. 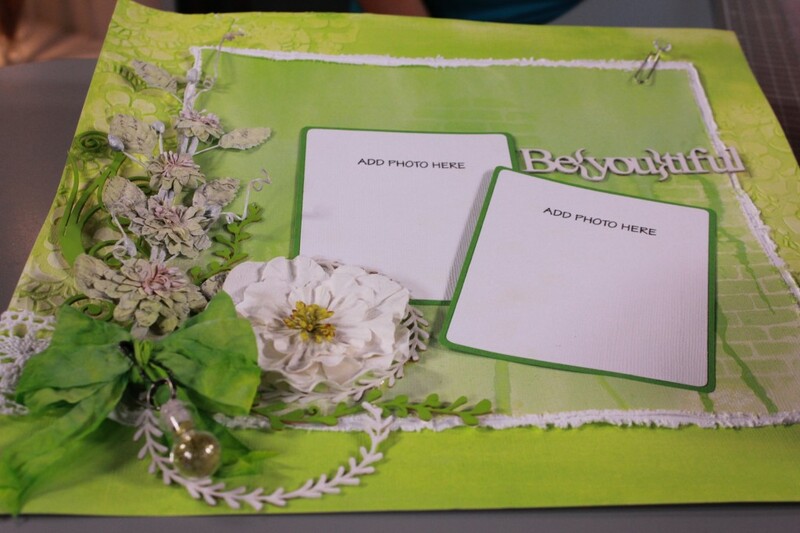 Using a paper distressing tool, distress the edges of the inked square and mat it onto a sheet of white cardstock and distress the edges of the white cardstock also. 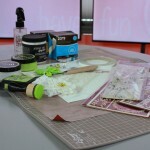 Using a blending tool and Tim Holtz Distress Ink Pad: Twisted Citron, apply some ink randomly over your Tim Holtz Stencil: Bricked (THS038) applying over the matted square. Fade the edges out for a more random effect. Dry using a heat tool. 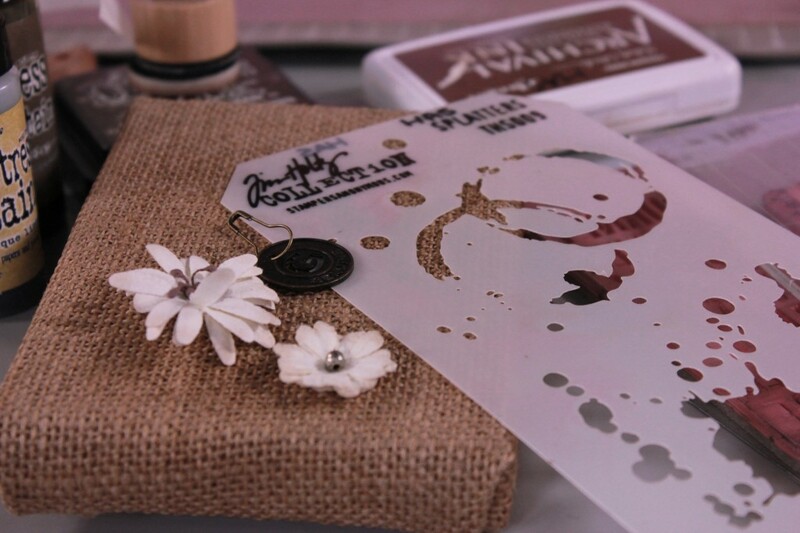 Attach a Tim Holtz Gemstone Paper Clip to the top right hand corner of the matted square. 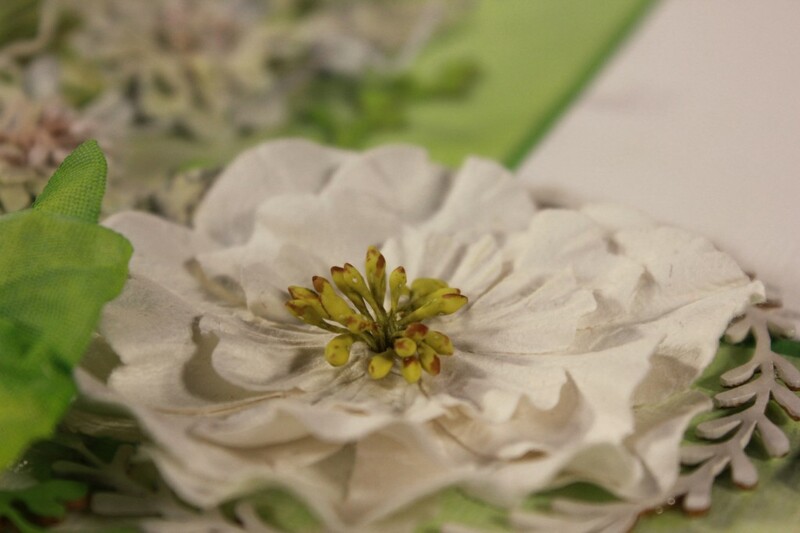 Spray your flowers using your Dylusions Ink Sprays: White Linen and Fresh Lime and dry using a heat tool. 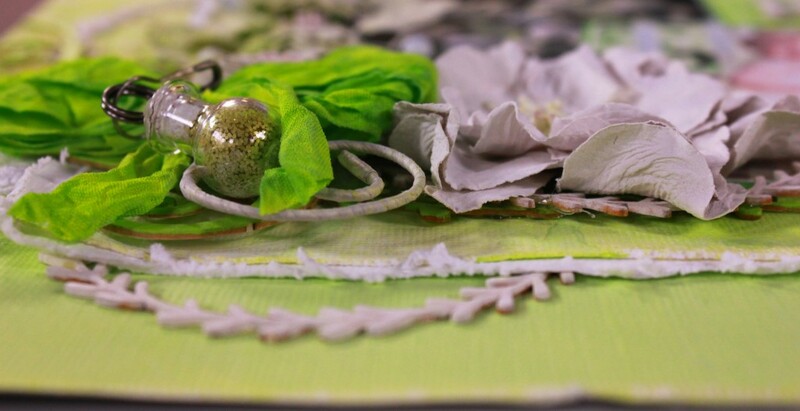 Using a wet wipe, paint your chipboard pieces using your Dylusions Paints: White Linen and Fresh Lime. Dry using a heat tool. 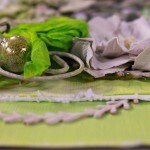 Spray your Tim Holtz Crinkle Ribbon using your Dylusions Ink Sprays: White Linen and Fresh Lime. Crunch the ribbon in your hand while it is wet to crease the ribbon and dry using a heat tool while in its creased state. Create your bow using the crinkle ribbon. 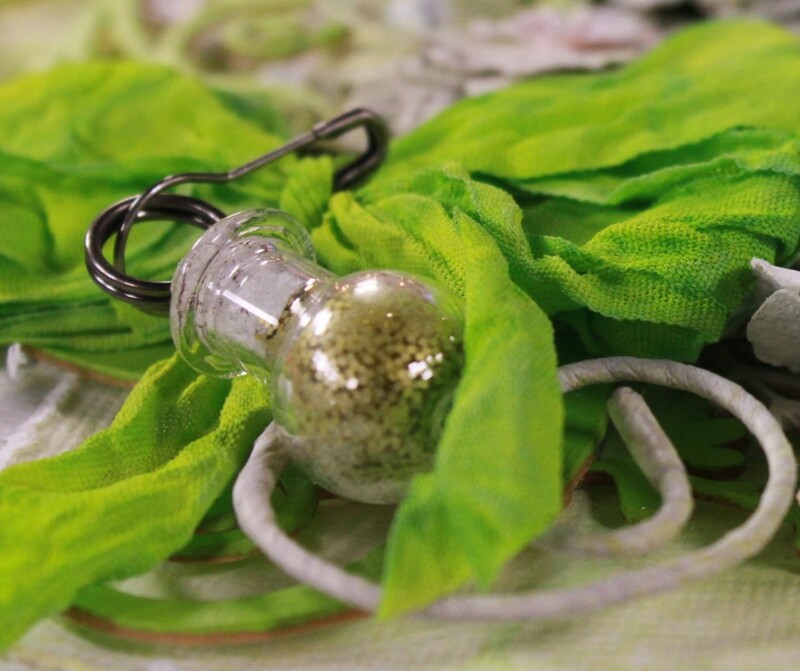 Fill a small Tim Holtz corked bottle with Tim Holtz Distress Glitter: Shabby Shutters and insert the cork (glue to seal). Cut the end off a Tim Holtz memo pin and insert the pin into the cork. 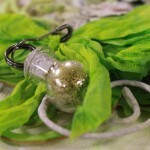 Attach the corked bottle to the bow using a Tim Holtz Metal Loop Pin. 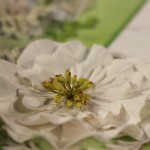 Adhere your matted square to the centre of your background page. 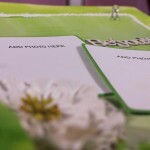 Adhere your matted photographs to the bottom left hand corner of the matted square. 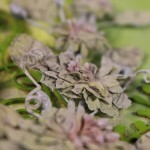 Adhere some of your painted chipboard vines in the bottom left hand corner of the matted square with the paper flowers, lace and the crinkle ribbon bow. 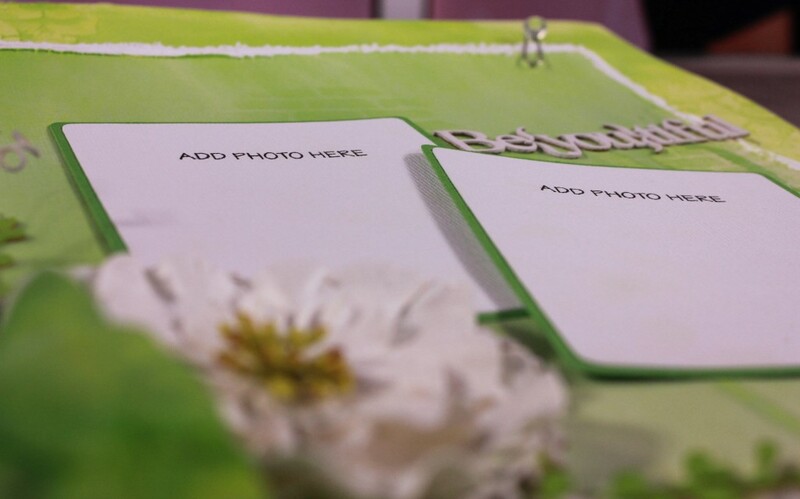 Adhere a painted chipboard word to the top right hand side of your matted photographs.